Bryan Moreno started his career in commercial real estate in 2001, after 10 years working in the outdoor advertising industry. His interest in the restaurant and hotel business, led him to learning about the real estate aspect and he’s been honing his craft ever since. In 2017, Bryan joined Diversified Partners, LLC in 2017 to assist Diversified Partners, LLC, and our clients, in the identification and acquisition of retail development sites. Focused primarily in the Arizona, California and Nevada markets, Bryan specializes in acquiring sites for ground up development, redevelopment of existing sites and identifying sites specific to our client’s and investor’s needs. His understanding of Market Conditions, Land Entitlement & Development, as well as Identifying Capital Sources, has allowed him to successfully represent clients in all phases of the Purchase, Development & Disposition of real estate. Bryan regularly teams with brokers of other firms, to provide solutions to meet the goals of our clients & investors. assisting in the completion of land transactions, as well as zoning and entitlement services for master developers, home builders and retail developers. Early in his career, Bryan learned his trade working with Restaurant & Retail Properties developing retail and carwash, gas and convenience store sites. In 2004, Bryan joined the KAX Group doing residential land brokerage. 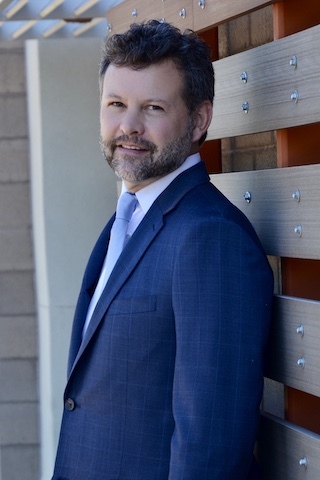 In 2006, Bryan joined Trammell Crow Company as the first dedicated land broker in the Phoenix office and, while there, he helped develop a new land division. After studying Economics and Psychology at the University of Arizona, Bryan moved to Phoenix, where he has been involved with charities such as Fresh Start Women’s Foundation, St. Joseph’s the Worker, as well as creating an annual Business Clothing Drive that benefits both. Bryan also enjoys playing golf, basketball and spending time with family and friends here in AZ as well as in Southern California, where he grew up.